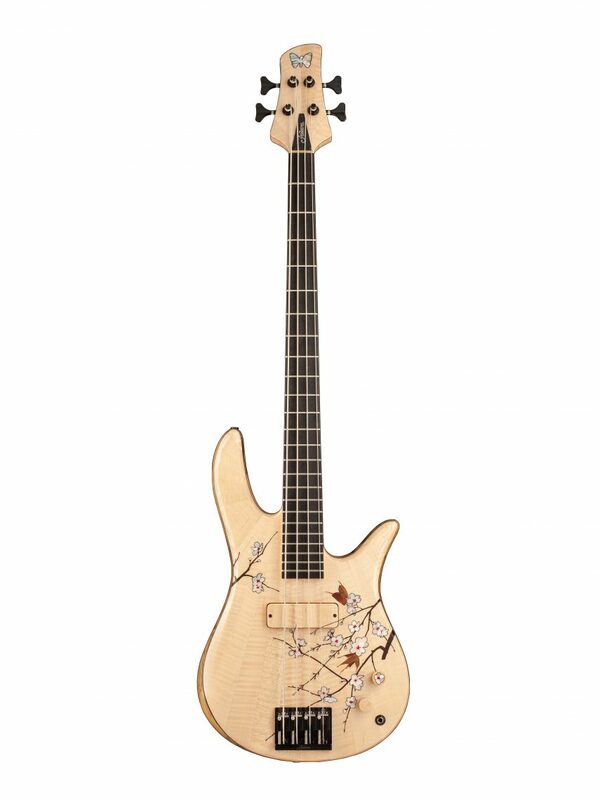 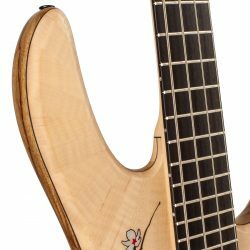 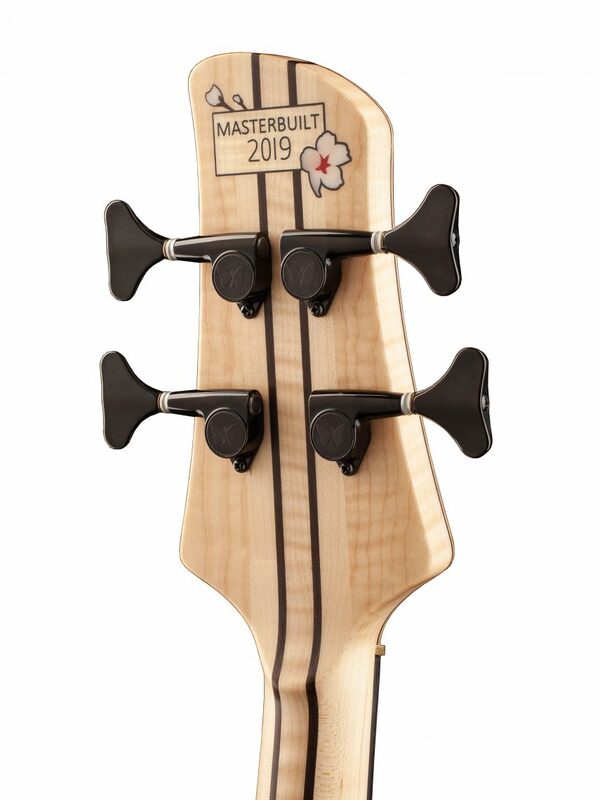 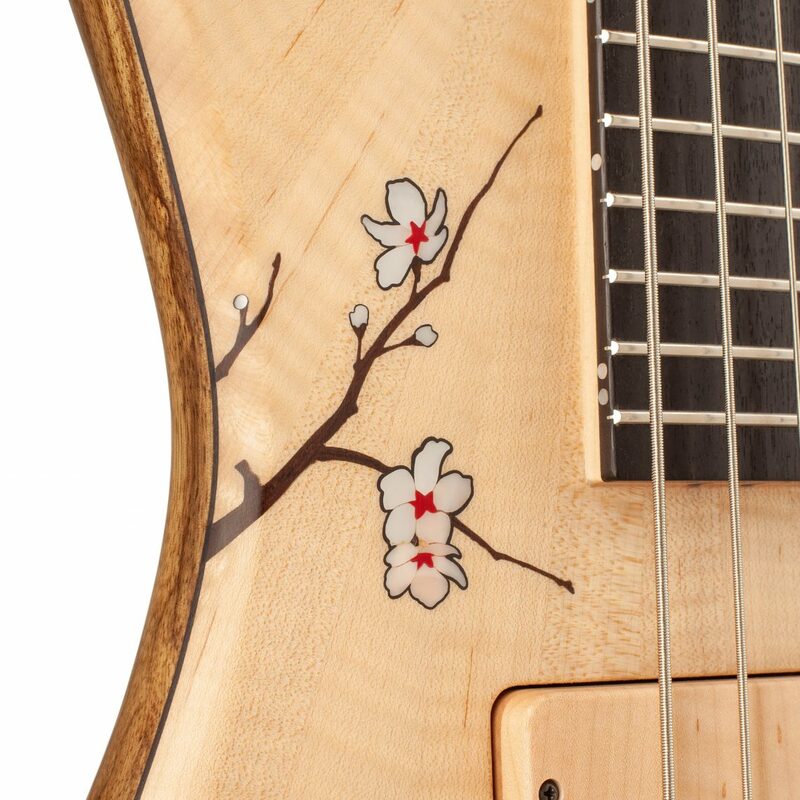 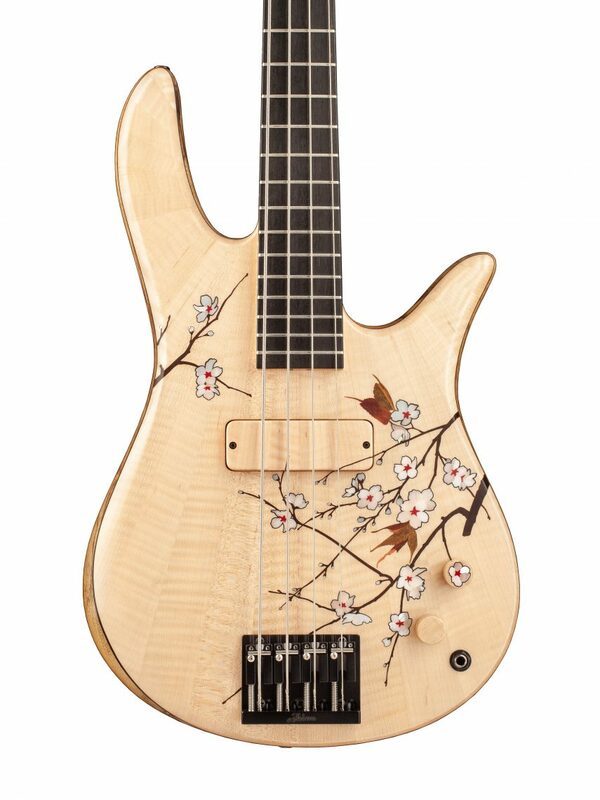 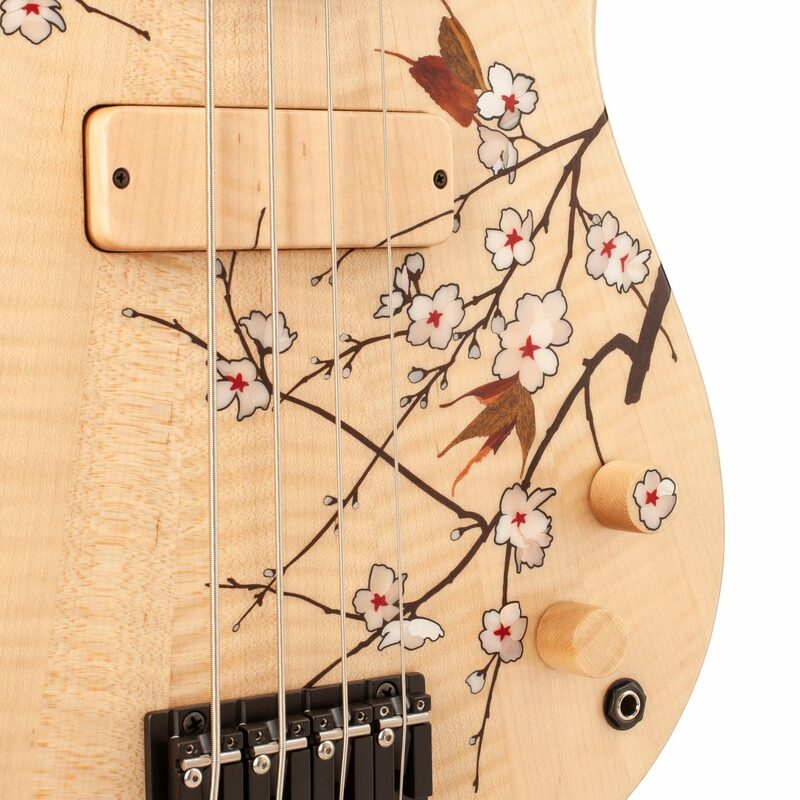 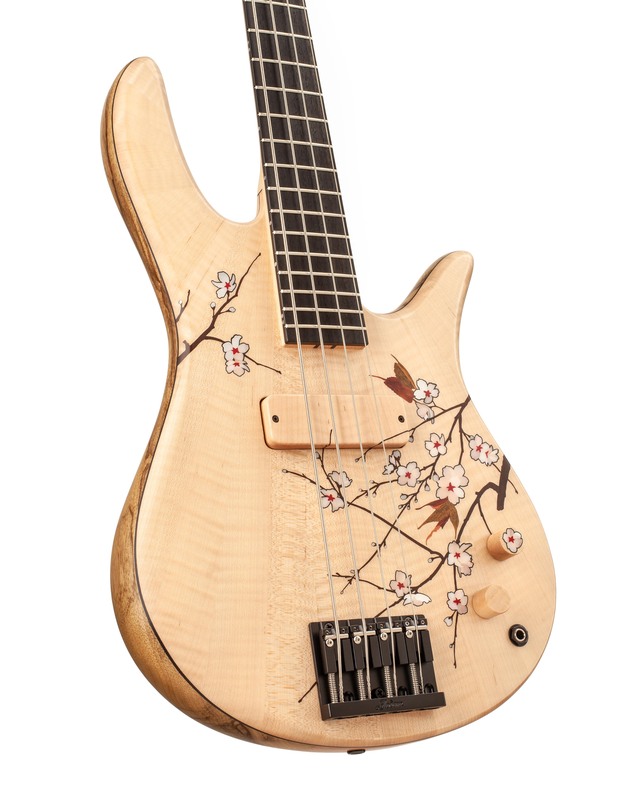 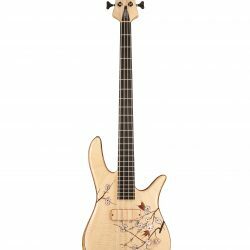 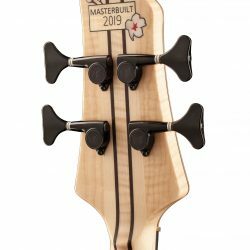 Inspired by the beauty and simplicity of the Cherry Blossom, Masterbuilt – Cherry Blossom utilizes our Monarch design and a multi-piece fanned Flame Maple top as a canvas for its delicate inlay. 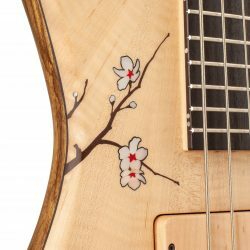 The top is comprised of over 150-pieces Pink Mother of Pearl, Stone, and Desert Ironwood to create its Cherry Blossom inlays. 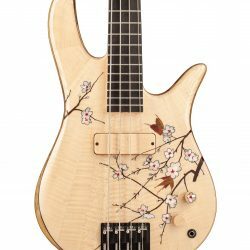 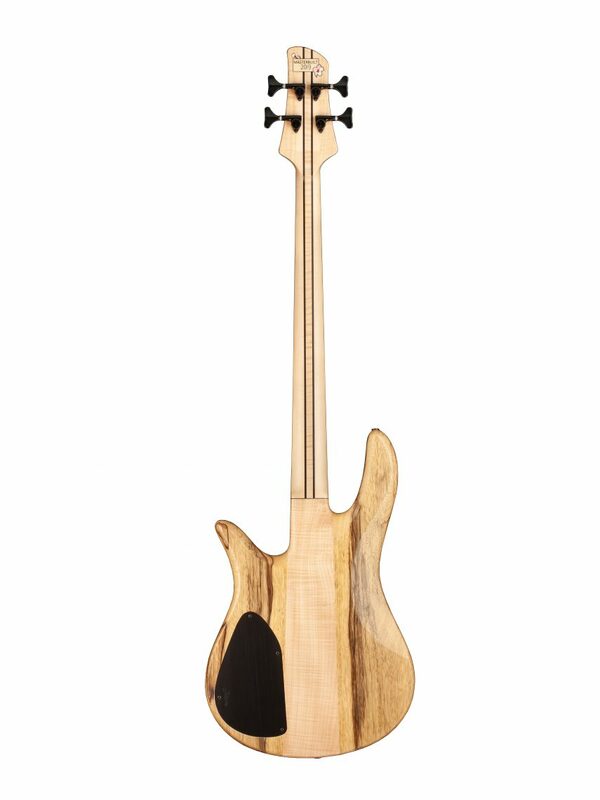 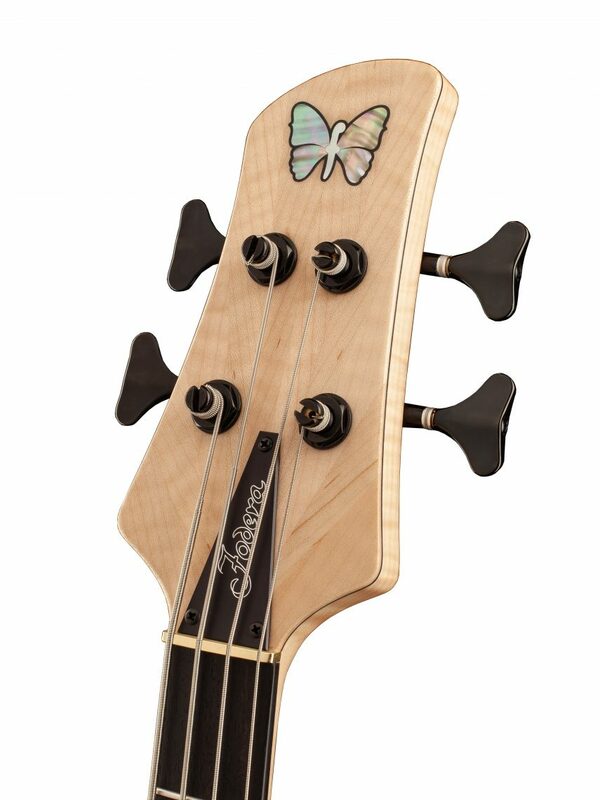 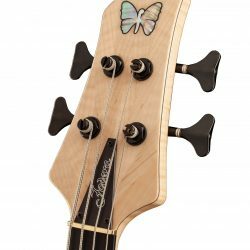 To make sure that nothing disrupts the pattern, its single Fodera / Duncan Dual Coil pickup is camouflaged within the top by a matching wooden pickup cover that allows for continuity within the lines of the fan pattern. 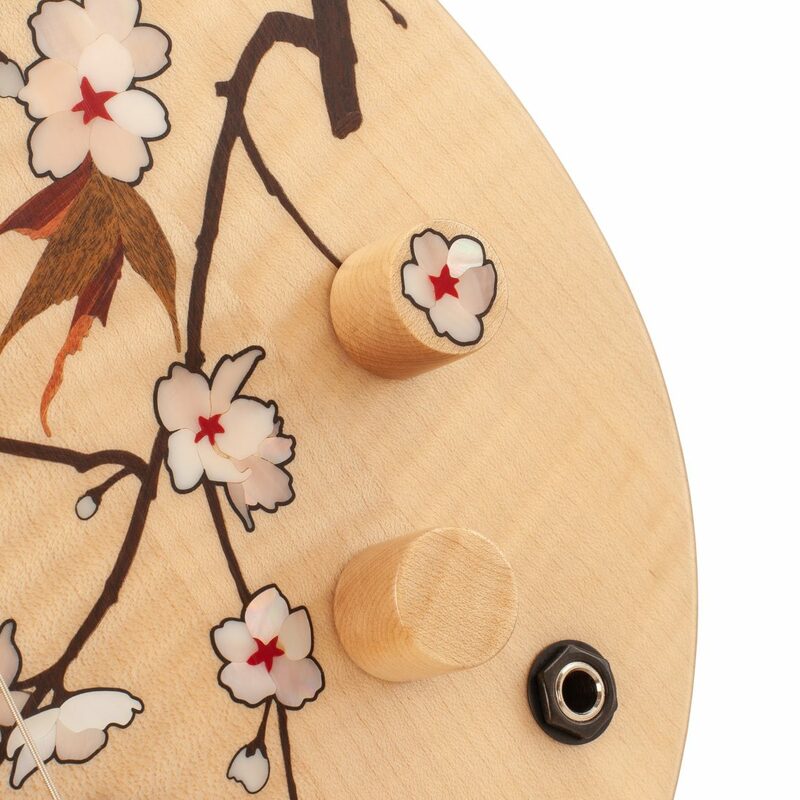 Additionally, the instrument forgoes our preamp and instead features passive electronics with matching wooden knobs. 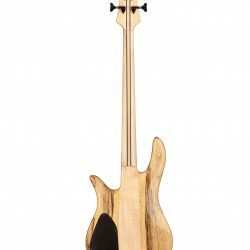 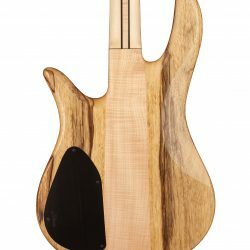 With a Black Limba body and Flamed Ebony board, the instrument’s tone remains clear and smooth despite its lack of a second pickup and preamp. 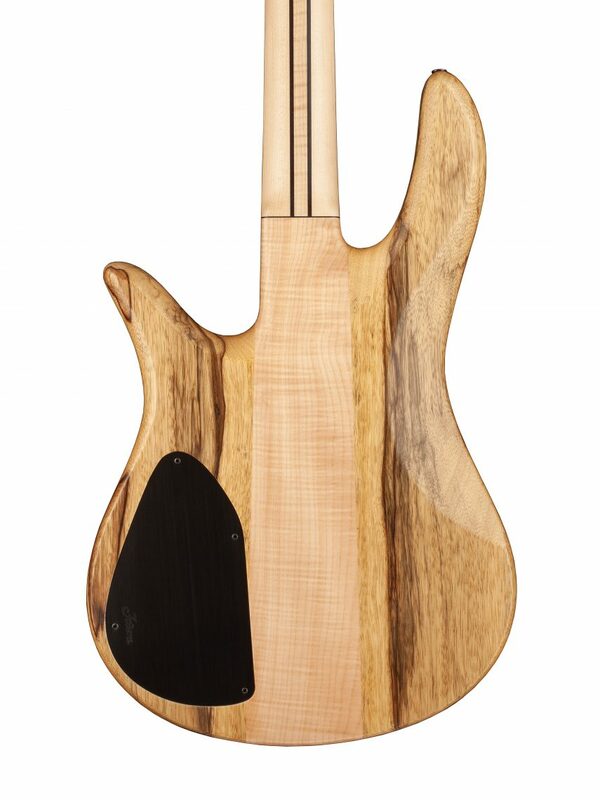 Rounding out the instrument is a Flamed Maple tone block matched to a 5-pc Maple neck w/ Wenge stringers.